Ed Butler reports from Mariupol port in eastern Ukraine. 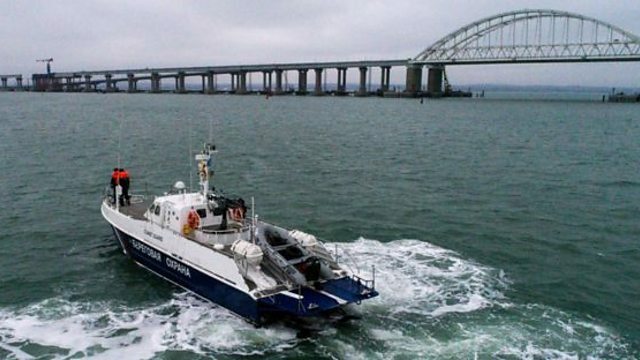 The port has lost a third of its fleet and up to 140,000 tonnes of exported metal products a month since Russia's construction of a bridge across the Kerch Strait in May 2018, and restrictions on the size of ships that can pass underneath. Hundreds of jobs depend on the work here - Mariupol is Ukraine's second port - and local businesses are desperate for the blockade to be lifted. But that is not the only problem - corruption and proximity the front line create a whole host of issues. Mariupol was at the eye of the storm when Russian-backed rebels launched an armed struggle against the Ukrainian government five years ago.The airport connecting the city with the rest of the country has been shut ever since.